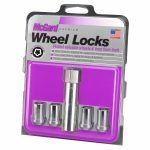 For use with steel or aluminum wheels with lug nuts that utilize a 60 degree tapered cone seat at the bottom. 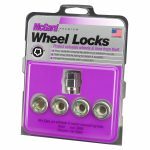 – represents product numbers that are also available in installation kits. 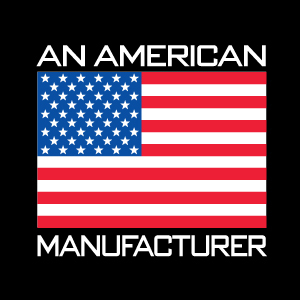 Click the icon to view. 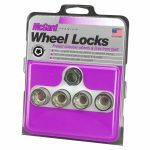 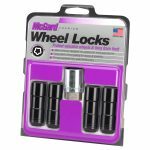 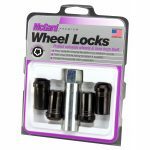 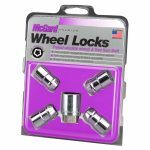 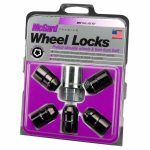 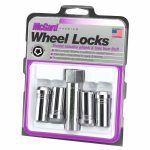 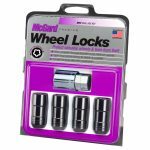 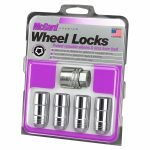 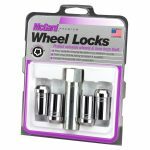 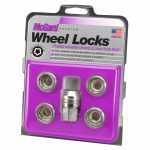 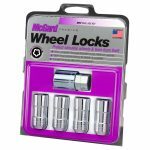 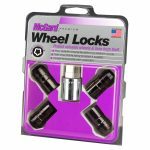 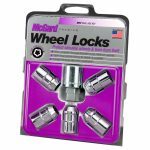 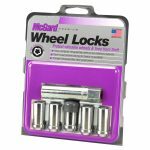 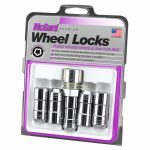 Short 1.28″ overall length wheel locks to match shorter lug nut applications. Wheel Locks to match lug nut applications that are between 1.46″ and 2.25″ overall length. 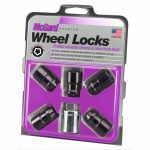 The larger key hex, 2.5″ overall length and wider outside diameter of our Duplex Wheel Locks are necessary in some truck & van applications. 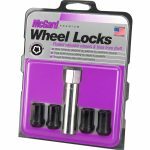 As a general rule, 8 lug wheels require Duplex Wheel Locks. Wheel Locks for cone seat steel or aluminum wheels with wheel covers, center caps or hub caps covering the lug nuts. Low profile eliminates height clearance problems. 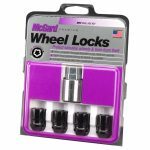 Dual hex wheel lock keys fit 3/4″, 13/16″, 19mm & 21mm lug wrenches. 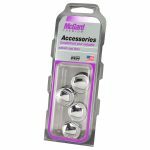 May also be used for exposed applications with optional black or chrome nylon caps. 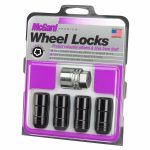 *No caps available for kits 24014, 24015, 24016, 24019 & 24024. 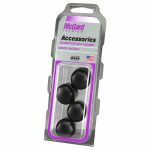 24019 uses customers’ OEM caps. 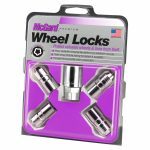 A no-compromise design engineered to fit into close tolerance lug hole recesses in Tuner Style wheels or wheels with very small lug nut holes. 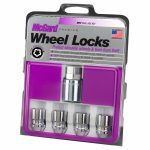 Weight matched to our SplineDrive Lug Nuts. 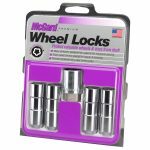 For aluminum wheels only, not for use on steel wheels.